You are currently viewing Archived reports for the week of 29 March-4 April 2017. 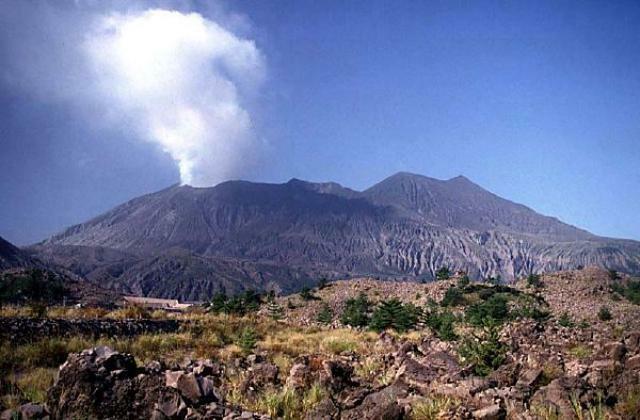 JMA reported very small eruptions at Minamidake summit crater (at Aira Caldera’s Sakurajima volcano) during 28-29 March. Based on JMA notices and satellite-image analyses, the Tokyo VAAC reported that on 4 April an ash plume rose to an altitude of 8 km (26,200 ft) a.s.l. and drifted W. The Alert Level remained at 3 (on a 5-level scale). PVMBG reported that an eruption at Ibu at 0058 on 29 March generated an ash plume that rose to an altitude of 1.8 km (5,800 ft) a.s.l. and drifted N. Another event at 0757 on 3 April produced an ash plume that rose to an altitude of 1.7 km (5,500 ft) a.s.l. 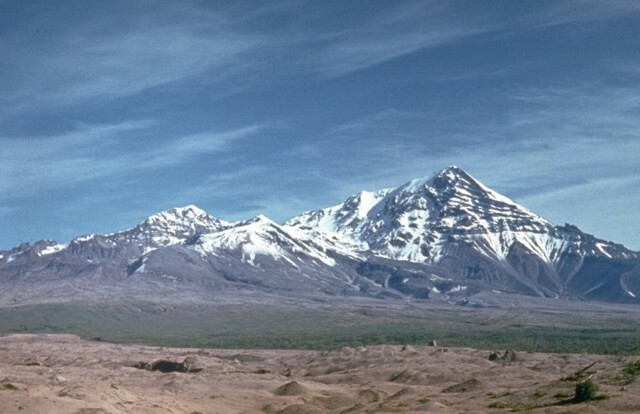 and drifted S. Seismicity on both days was characterized by events indicating explosions and avalanches. 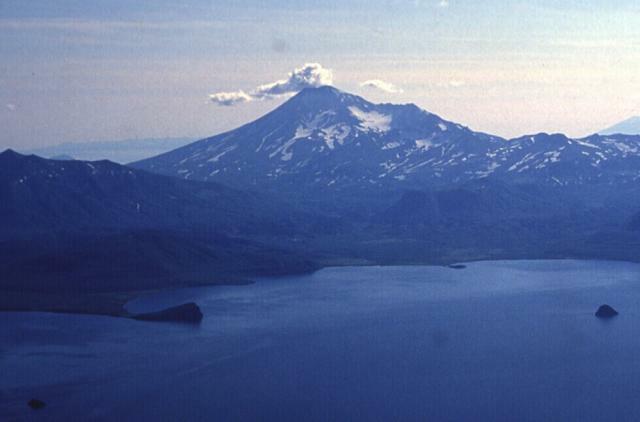 KVERT reported that the eruption that began at Kambalny at 2110 on 24 March continued through 31 March. 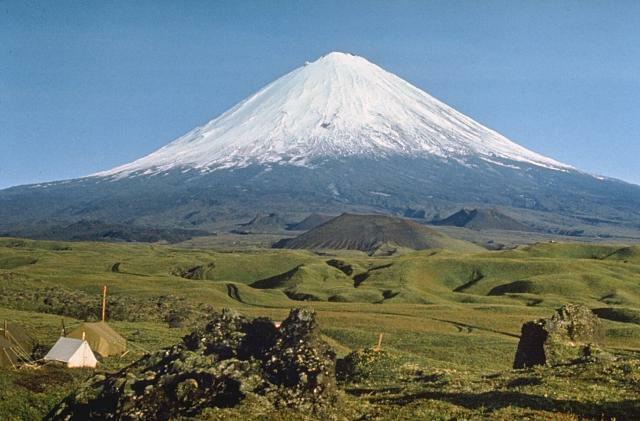 Observers reported that explosions generated ash plumes that rose 5-6 km (16,400-19,700 ft) a.s.l. Satellite images showed ash plumes drifting 2,000 km W, SW, S, and SE during 24-30 March. The Aviation Color Code remained at Orange. 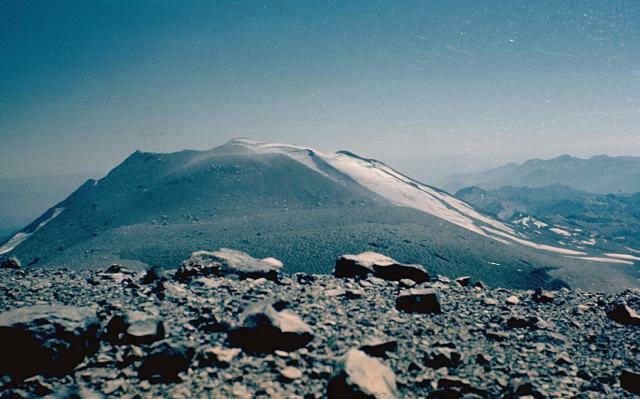 The Buenos Aires VAAC reported that on 3 April a webcam recorded a strong ash puff from Nevados de Chillán rising to an altitude of 4.9 km (16,000 ft) a.s.l. and drifting E.
Based on analyses of satellite imagery and model data, the Darwin VAAC reported that on 29 March an ash plume from Bagana rose to an altitude of 2.1 km (7,000 ft) a.s.l. and drifted SW. On 31 March a NOTAM (notice to airmen) and pilot report suggested that an ash plume rose to an altitude of 2.1 km though ash was not identified in mostly clear satellite images. 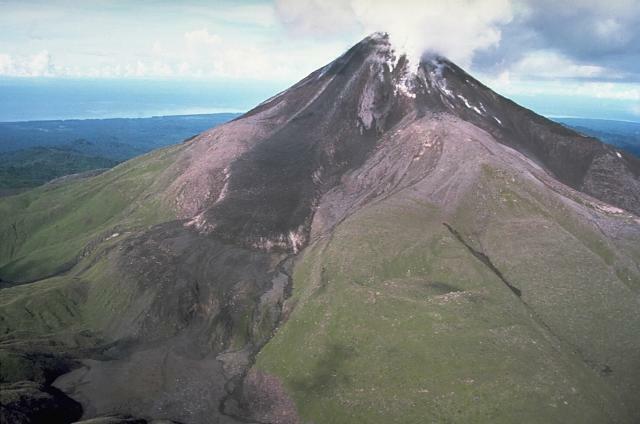 An ash plume observed on 2 April rose to an altitude of 2.1 km and drifted almost 40 km E.
KVERT reported that during 24-31 March lava continued to advance down the NW flank of Bezymianny's lava dome. A thermal anomaly was identified daily in satellite images. The Aviation Color Code remained at Orange. 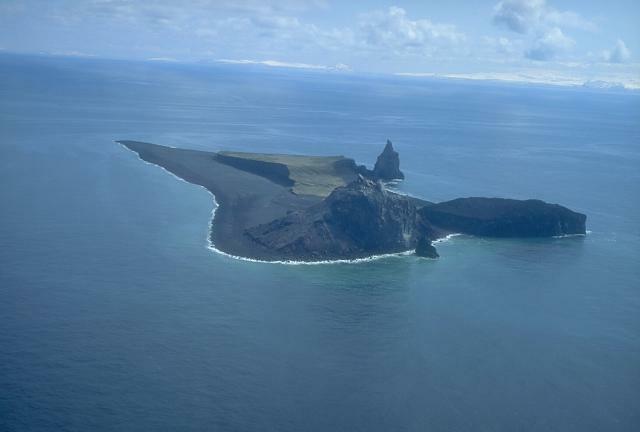 AVO reported that no significant volcanic activity at Bogoslof was detected in seismic or infrasound data during 29 March-4 April, and satellite views were often obscured by clouds or showed nothing noteworthy. Weakly elevated surface temperatures were identified in satellite images during 28-29 March. The Aviation Color Code remained at Orange and the Volcano Alert Level remained at Warning. Based on Tokyo VAAC satellite data, SVERT reported that on 31 March an ash plume from Chirinkotan rose to an altitude of 7 km (23,000 ft) a.s.l. and drifted 165 km NE. The Aviation Color Code was raised to Yellow (on a four-color scale) on 2 April. 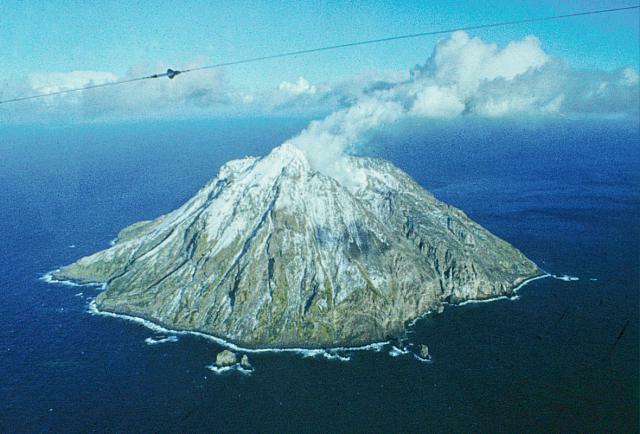 AVO reported that no significant volcanic activity at Cleveland was detected in seismic or infrasound data during 29 March-4 April, and satellite views were often obscured by clouds. The Aviation Color Code remained at Orange and the Volcano Alert Level remained at Warning. 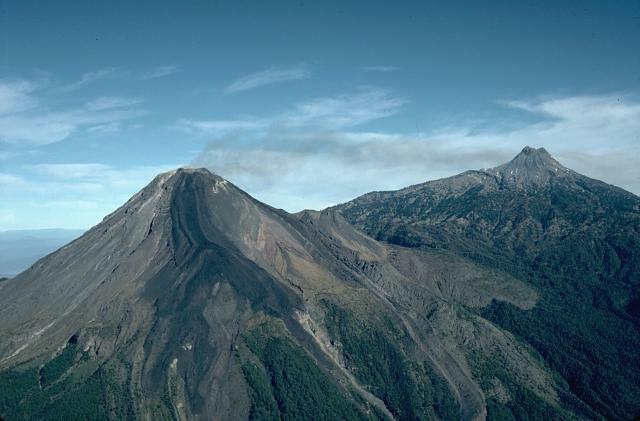 On 31 March the Centro Universitario de Estudios e Investigaciones de Vulcanologia - Universidad de Colima reported that during the previous week the seismic data revealed 45 high-frequency events, 33 long-period events, 2.5 hours of tremor, 11 landslides, and two low-intensity explosions. The sulfur dioxide flux was 360 tons/day, an increase compared to the week before. Based on analyses of satellite imagery, wind model data, and notices from PVMBG, the Darwin VAAC reported that during 29 March-4 April ash plumes from Dukono rose to altitudes of 1.8-2.1 km (6,000-7,000 ft) a.s.l. and drifted in multiple directions. 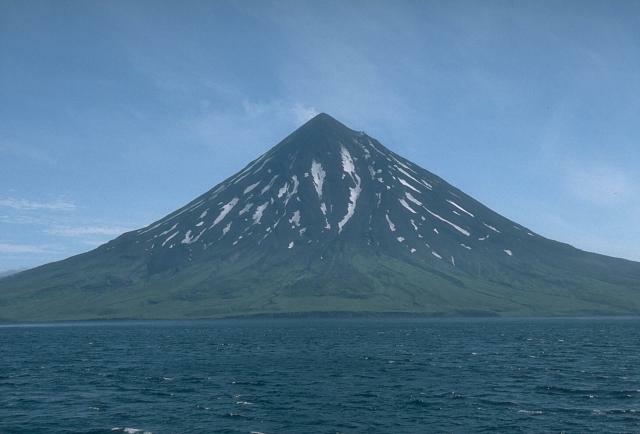 KVERT reported that during 24-31 March several explosions per day at Ebeko were observed by residents of Severo-Kurilsk (Paramushir Island) about 7 km E. Ash plumes rose to altitudes of 1.5-3.4 km (4,900-11,200 ft) a.s.l. Minor amounts of ash fell in Severo-Kurilsk on 26 March. The Aviation Color Code remained at Orange (the second highest level on a four-color scale). 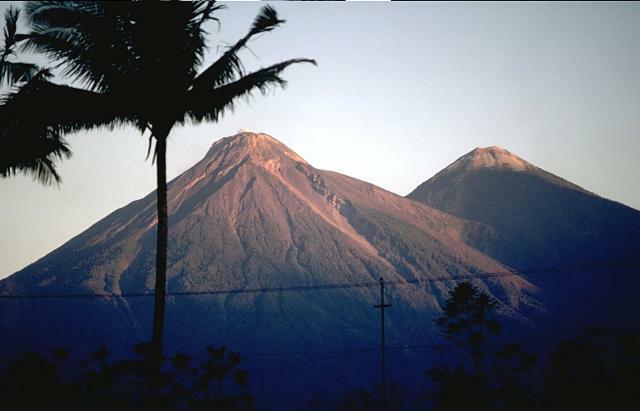 INSIVUMEH reported that activity at Fuego increased on 1 April, with the beginning of a new effusive eruption, the third one in 2017. Explosions occurring an average of 10 per hour generated shock waves that vibrated local structures. An ash plume rose an estimated 1.3 km and drifted 10 km W, SW, and S; weather clouds hindered observations. Later that day lava fountains rose 100-300 m high and fed lava flows that traveled 400 m down the Trinidad (S) and Las Lajas (SE) drainages. 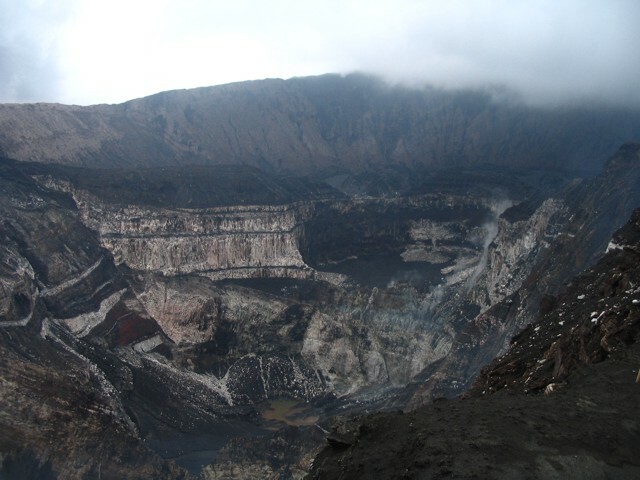 The effusive phase lasted about 16 hours, ending on 2 April, with lava flows stopping as far as 3 km, and expanding into the Santa Teresa (W) drainage. Ash plumes drifted as far as 80 km W, causing ashfall in areas downwind including Atitlan Lake, Chicacao, Mazatenango, Retalhuleu, and El Palmar. 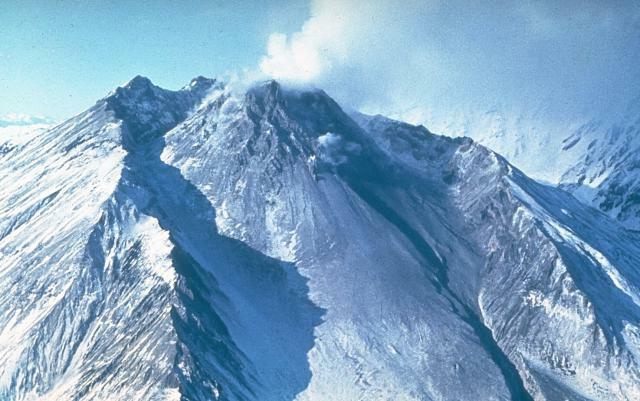 On 4 April explosions generated ash plumes that rose 750 km and drifted S, and avalanches pf material descended the Ceniza drainage. 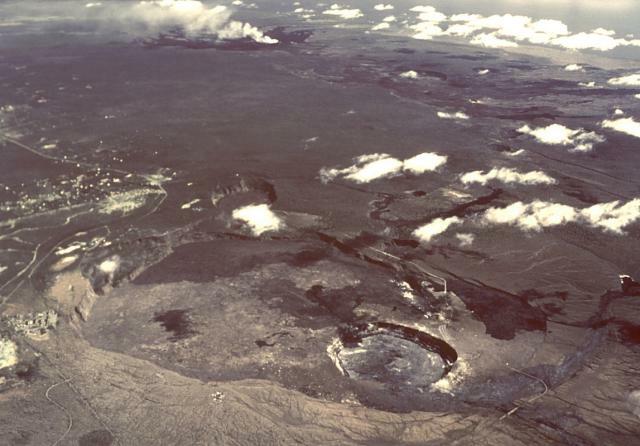 During 29 March-4 April HVO reported that the lava lake continued to rise, fall, and spatter in Kilauea’s Overlook crater. Webcams recorded incandescence from long-active sources within Pu'u 'O'o Crater, from a vent high on the NE flank of the cone, and from a small lava pond in a pit on the W side of the crater. The 61G lava flow, originating from a vent on Pu'u 'O'o Crater's E flank, continued to enter the ocean at Kamokuna from the end of the lava tube, about 20 m above the water. National Park Service officials estimated that the lava delta was about 40 m wide and 100 m long. 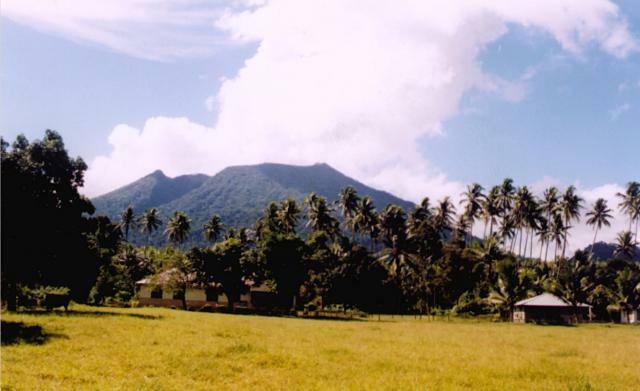 Surface lava flows were active above the pali, and small, short-lived breakouts occurred on the coastal plain. 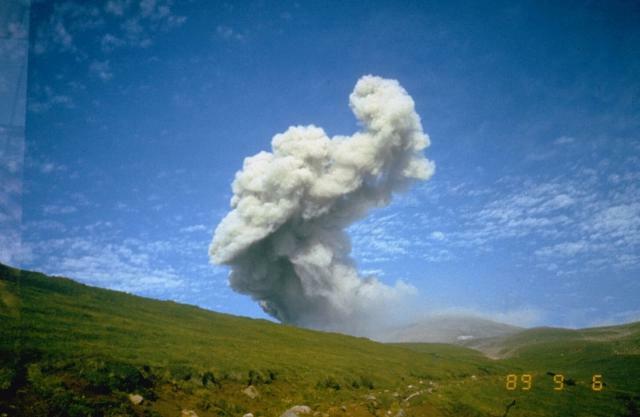 KVERT reported that during 27-30 March explosions at Klyuchevskoy generated ash plumes that rose to an altitude of 7 km (23,000 ft) a.s.l. Satellite images showed a thermal anomaly over the volcano during the previous week, and ash plumes that drifted 300 km in multiple directions. The Aviation Color Code remained at Orange. 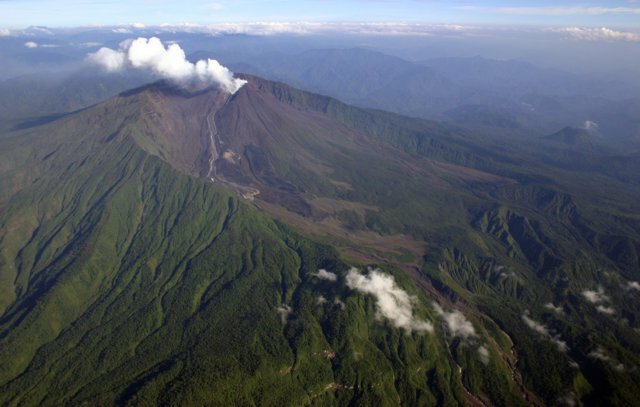 PVMBG reported that on 25 March six climbers between the ages of 15 and 20 climbed to Lokon-Empung's Tompaluan Crater, into the restricted area, where one of the climbers fell into the crater and died. The Alert Level remained at 2 (on a scale of 1-4). 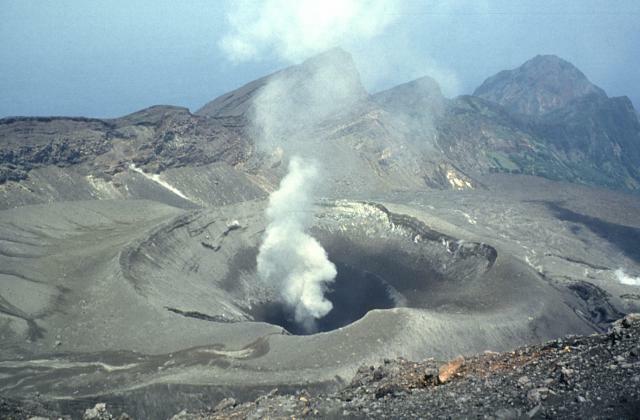 Residents and tourists were reminded not to approach the crater within a radius of 1.5 km. During 28 March-4 April IG reported a high level of seismic activity including explosions, long-period earthquakes, harmonic tremor, and signals indicating emissions at Reventador. Although cloud cover often prevented visual observations, activity was noted almost daily. During 28 March-3 April steam, gas, and ash plumes rose as high as 1.3 km above the crater rim and drifted SW and NE. Incandescence from the crater was sometimes visible during the night. Incandescent blocks rolled 1 km down the flanks on 1 April, and 1.6 km down the SW flank on 3 April. A small lava flow was observed traveling 1.6 km down the SW flank on 3 April. 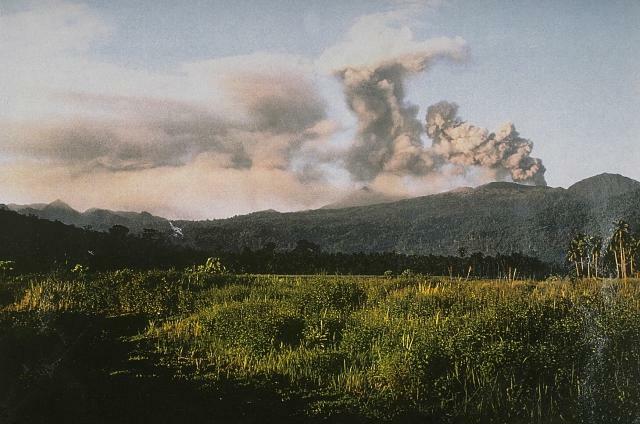 Observatorio Vulcanológico del Sur del IGP (OVS-IGP) and Observatorio Vulcanológico del INGEMMET (OVI) reported that during 27 March-2 April there were an average of 41 explosions recorded per day. The number and magnitude of hybrid events decreased while long-period events increased. Ash plumes rose as high as 4.8 km above the crater rim and drifted more than 40 km NW, N, and SW. Ashfall was reported in Pinchollo (20 km N) and Cabanaconde (22 km NW). Overall activity increased compared to the precious week. The Alert Level remained at Orange (the second highest level on a four-color scale). 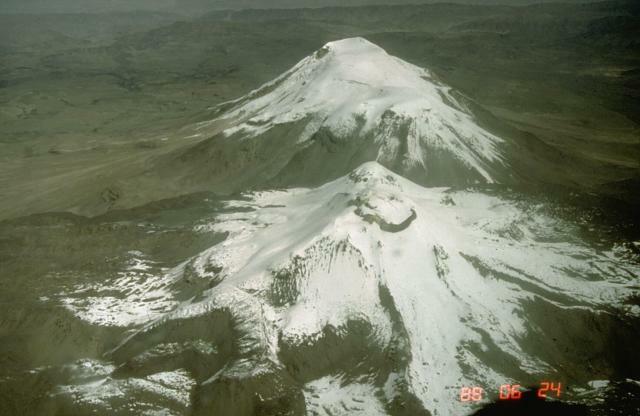 KVERT reported that during 24-31 March lava-dome extrusion onto Sheveluch’s N flank was accompanied by strong fumarolic activity, dome incandescence, ash explosions, and hot avalanches. Satellite images showed a daily thermal anomaly over the dome, and ash plumes that drifted 20 km SW on 24 and 26 March. The Aviation Color Code remained at Orange (the second highest level on a four-color scale). 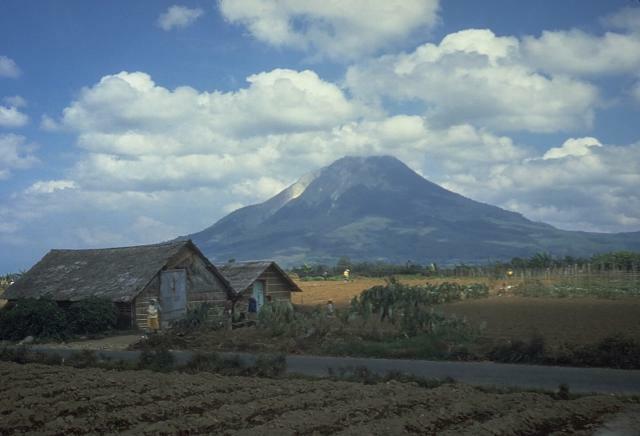 Based on PVMBG observations, satellite data, and wind data, the Darwin VAAC reported that on 29 March an ash plume from Sinabung rose to altitudes of 4.6 km (15,000 ft) a.s.l. and drifted ESE. 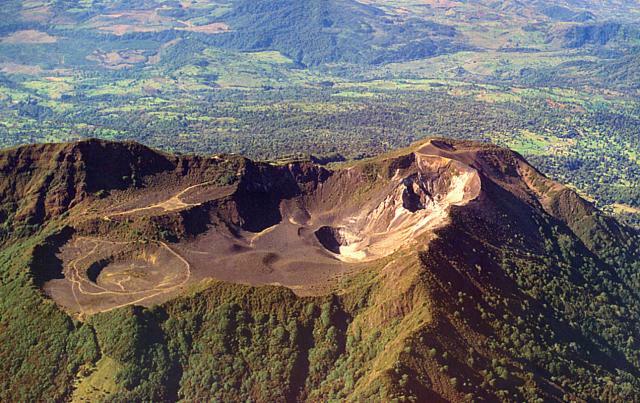 OVSICORI-UNA reported that ash-and-gas plumes from Turrialba rose 500 m above the crater during 31 March-1 April. Ashfall was reported at the Juan Santamaría airport, 48 km W. Ash plumes rose 500 m at 1700 on 2 April, and 200 m at 0601 on 4 April.